Has it been that long? Yes, it has. Today, the PlayStation turns twenty years old in Japan. 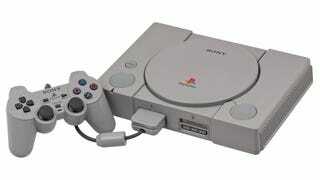 The PlayStation went on sale in Japan on December 3, 1994. It wasn't released in North America and Europe until September 1995. That really seems like a million years ago. In video game time, it is. On the Japanese PlayStation Twitter account, a handful of images have been uploaded that show how graphics have changed by comparing PlayStation titles with current, um, game art. While not all these current games are necessarily exclusives, it's interesting to see how far we've come in two decades. Can't wait for the fortieth anniversary comparisons.